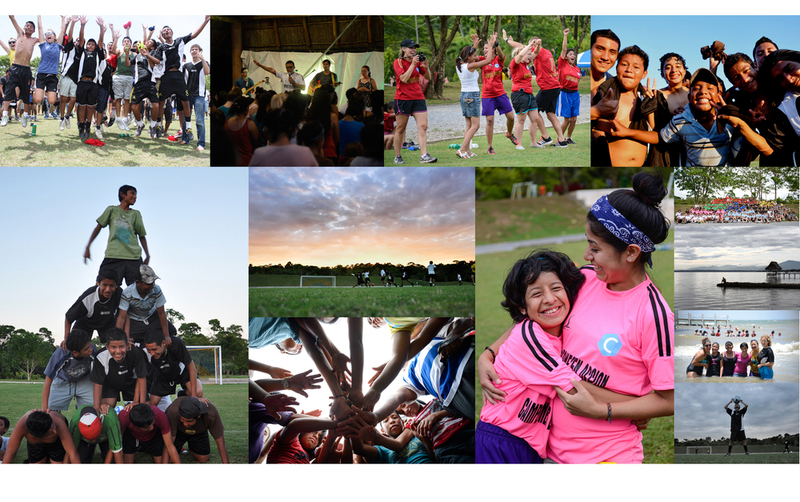 Every summer, Champions in Action hosts soccer camps where adult Christian mentors connect with disadvantaged youth from marginalized, high-crime areas of Guatemala, where father figures and positive adult influence are scarce. At camp, mentors spend a week coaching their kids in soccer, and at the same time, they share the gospel and begin relationships. Mentors stay involved as role models in kids’ lives long after camp ends, encouraging them to make good decisions, pursue their dreams, and know Jesus Christ.During each camp, short-term volunteers have teamed up with mentors to make long-term impacts in kids’ lives. And this summer, it’ll all happen again. Ready to join us on mission in Guatemala? Champions in Action soccer camps are a different kind of summer mission trip. As a volunteer, you’ll work alongside mentors, supporting them as they coach kids in sports, life and faith. Volunteers encourage and pray for mentors, create cross-cultural, cross-generational friendships, and celebrate what God is doing. have fun with them at free time, and worship with them at evening chapel. Volunteers also serve behind the scenes, on teams in charge of things like activities set-up, coaching, media, medical, translation, etc. At its core, this is relational ministry. It’s about loving kids through words and actions. It makes an impact that can change their lives—and maybe yours too. Ready to make an impact together? Team up with us this summer and be part of something big! There are two camps: The first camp is June 22-30 and the second is July 13-21. Volunteers must arrive in Guatemala on the day before camp begins (Saturday). Ideally, departure should be scheduled for two days after camp ends (Sunday). 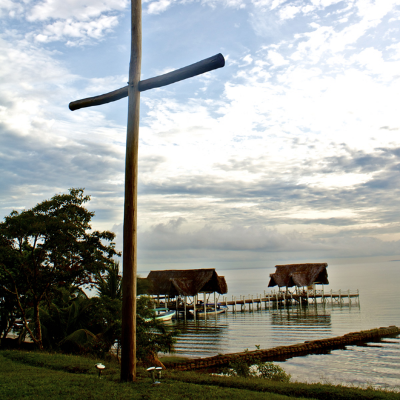 Most camps take place at a retreat center six hours northeast of Guatemala City, halfway between the seaside towns of Livingston and Puerto Barrios. $800. Your camp fee includes nearly all in-country expenses plus scholarships for the youth. Don’t forget to factor in the cost of airfare (which you’re responsible for purchasing yourself). No problem! Our staff are bilingual, and your group will have a translator so that you can communicate with the mentors and the kids. That’s fine! You can serve in any one of several other areas. There’s a place for everyone. I’ve still got some more questions. Ready to team up with us? This will be another great summer in Guatemala, and we’re excited to have you along! Want to serve with us next summer in Guatemala? Maybe a friend or family member will want to join you! We’re always looking for more people who love the Lord and love kids. If anyone else in your family, friend circle or church would be interested in joining, invite them to check us out and sign up! Yes, we do groups! If your bible study, youth group, campus ministry or entire church would like to come on a short-term mission trip to Guatemala, we’ll be happy to talk with you. Our staff can provide fundraising resources, coordinate your logistics on the ground, and even create new trips tailored for your group. Please email us to learn about mission trip opportunities.